Short Version: Forward-thinking brands can learn how to appeal to today’s dating population by consulting with marketing experts who study and analyze consumer trends. Interbrand helps clients develop a clear strategy to grow their business, establish a compelling branding message, and improve the customer’s overall experience. Based on analytic research and decades of marketing experience, the team of consultants and designers provide knowledgeable insights into what drives successful companies in the modern age. As the leading branding consultancy, the company offers an international presence and perspective on buyer behavior. Since 1974, Interbrand has established a strong reputation in its work with big-name companies, including Juventus and (RED), as well as many others. 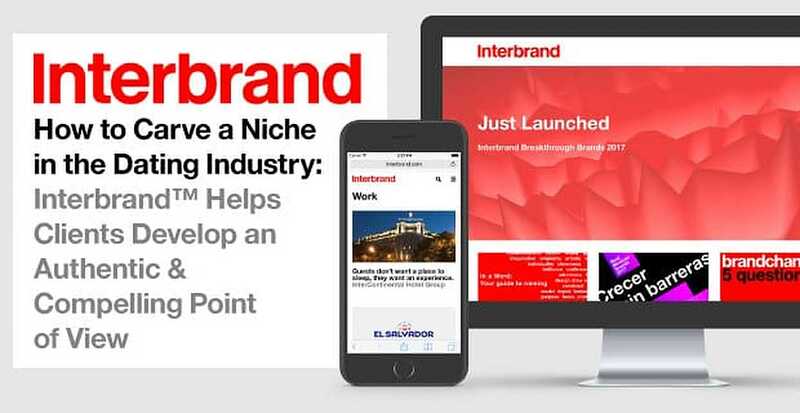 For professionals in the dating industry, Interbrand represents a pathway to establishing a trustworthy and exciting brand that will engage niche audiences in impactful ways. Early in 1968, in Memphis, Tennessee, a storm was brewing. The accidental deaths of two trash handlers, killed by a malfunctioning garbage truck, galvanized Memphis sanitation workers into action. Workers organized a strike on Feb. 12, 1968 to demand better wages, safer working conditions, and recognition for their union. As the months wore on, hundreds of sanitation workers took to the streets carrying signs reading, “I AM A MAN.” This became one of the defining moments of the Civil Rights Movement. The Memphis Sanitation Strike’s “I AM A MAN” signs affirmed the humanity of black men facing unsafe working conditions. In Memphis 1968, tensions ran high as black workers fought to be heard and valued as men. Martin Luther King Jr.’s final speech “I’ve Been to the Mountaintop” was delivered in Memphis in solidarity with the city’s sanitation workers. The strike ended in April, just days after MLK’s assassination, when the city agreed to recognize the union and raise workers’ wages. It was a hard-fought victory for the marginalized and a clarion call for underappreciated Americans to rise up and fight for their rights. On a chilly Saturday in January 2017, millions took to the streets to participate in the Women’s March. Interbrand’s marketing experts were up for the challenge. 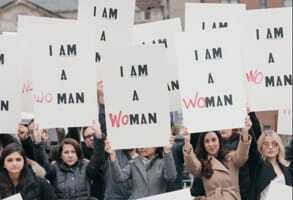 After some brainstorming sessions, the New York-based team reproduced 100 of the iconic “I AM A MAN” placards and asked the women participating in the protest to write in “WO” before the “MAN.” The women carried these signs with pride through the streets of Washington and New York. Founded in 1974, Interbrand excels at coming up with messaging and design ideas that capture attention and engage with target audiences in meaningful and innovative ways. The international team works with small startups and well-known enterprise brands to develop cutting-edge branding and design strategies and experiences based on a 40-year history. Today, the world’s leading brand consulting agency offers brand valuation, marketing strategies, design help, and in-depth analytics, experience design, and capability building to help businesses grow. Lifestyle brands, such as dating websites, can seek Interbrand’s help to gain insight into how to disrupt the dating industry and earn the loyalty of online daters. There’s no denying Interbrand is at the forefront of branding. The team is particularly good at naming things. Over the years, the company’s inventive labeling has produced some household names, including Prozac, Viagra, Bing, and Wii to name a few. In 1999, the company coined the term wifi and developed the striking yin-and-yang-esque logo on behalf of the Wireless Ethernet Compatibility Alliance. If you’re wondering what to name a dating site, Interbrand can surely suggest some unique and catchy ideas. The company specializes in branding designed to appeal to target audiences. Businesses look to the marketing experts for guidance in taking intentional actions to stand out in all the right ways and drive up conversions and revenue through intentional actions. Interbrand continually pushes the envelop by helping top companies, like Sony, draw analytic insights on how to influence buying behavior and build a strong relationship with consumers everywhere. The time-tested marketing team knows how to make businesses relevant through innovative and informed branding strategies. On behalf of its clients, Interbrand looks for valuable opportunities to grow the business, add value to the brand, and expand the customer base. For companies aiming to strengthen their foothold in the dating industry, Interbrand can offer actionable solutions based on solid research and decades of marketing experience. Every year, Interbrand puts out a comprehensive study on the Best Global Brands that are driving innovation in various sectors around the world. The marketing experts look to these leaders as examples of high-performance techniques, and its articles showcase what companies can learn from the best brands. From the youthful appeal of alcohol brands to the technological future of auto companies, Interbrand highlights intelligent and dynamic ways to stay current and engage with consumers. You can read the stories of top growing brands, such as Facebook and LEGO, to gain a better understanding of the latest trends and attitudes shaping consumer behavior. 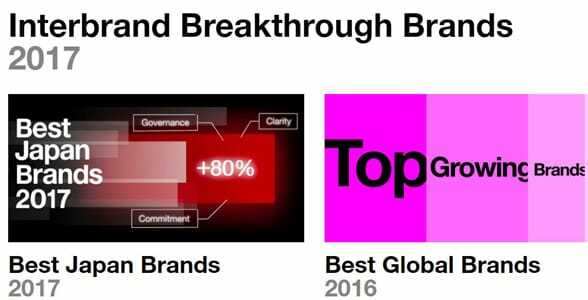 To expand its knowledge base, Interbrand ranks and assesses the best global brands of the year. Additionally, the Best Breakthrough Brands list compiles the year’s up-and-coming companies splashing into the market and making an impact on consumers. Every in-depth company profile offers insightful takeaways into what it takes to be a successful brand today. Interbrand has put together an inaugural Anatomy of Growth study, which looks at what top-growing brands are doing inside their organizations culturally to drive year-on-year growth. This study will be shared at the 64th Cannes Lions International Festival of Creativity this year. Companies are invited to join the study and learn more here. Interbrand’s reach extends around the world, and its work shapes the culture in pervasive and meaningful ways. Currently, Interbrand has 24 offices in 17 countries. Andrea told us the company inspires a culture of curiosity as team members seek to understand what appeals to modern consumers and how brands can keep up with the times. 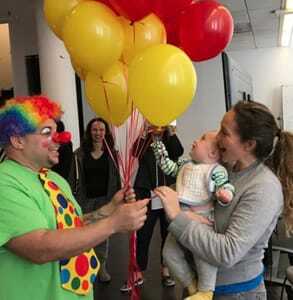 In 2017, Interbrand celebrated Take Your Child to Work Day with a festive atmosphere. “Our global presence helps us have a window into the world. We’re at the pulse of culture, the ‘Age of You,'” shared Andrea. On their travels and in their daily lives, team members share insights with one another on the way brands are communicating and positioning themselves worldwide. It could be a picture of a food truck or a clip of a flash mob — whatever excites and invites conversation is of note to the Interbrand team. Today, Interbrand leads the discussion of what makes a brand and what can make it better. With a collaborative and creative spirit, the team boldly influences how companies interact with consumers in every channel. The “I AM A WOMAN” campaign highlights the Interbrand team’s ingenuity, passion, and messaging power. The Women’s March was a colorful expression of ideas, and so it was an ideal forum for the marketing company. In its work with Asylum in 2017, Interbrand contributed to a historic moment by producing a thoughtful and empowering statement about the continuation of civil rights in the United States. With a clear vision and simple language, Interbrand cuts to the core of what a brand is — and what it means to people around the world. The experienced team is always dreaming up innovative strategies to revolutionize the way businesses connect with customers. Whether you’re a dating site owner or a local matchmaker, Interbrand proudly and expertly supports the growth and success of companies of all sizes and from all sectors.